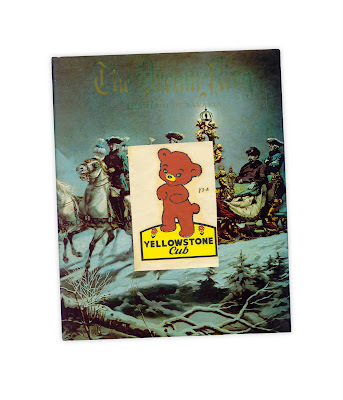 Adorable sticker / decal featuring "Yellowstone Cub." Found in "The Dream King: Ludwig II of Bavaria" by Wilfrid Blunt. Published by the Viking Press, 1970. The signature on the "Phone Home" bookmark - I think the last name is "Alvarez". It's a shame there's not more info on the club on the card. I might have to do some research. If I buy the book can I have the "Bookmark"? I've always had an interest in the Mad King, as my mother from Berlin calls him. What age group is it written for? Does it look informative?